They look great. Enough to make one rather nostalgic. The conversions are very nicely realised too. Definitely lookin’ good! Converting the archers was a good move and they look spot on! Dude these are ball’n! Love the glow effect! Really sets them off. If you don’t put your chin to the plasma coil how do you know when it’s hot enough to fire? Great work on this crew. Interesting choice of green coils with the Orks being green to. Looking good though. I love those conversions Alex. Really inspirational choice of minis to mod up for RT. Your project keeps getting better and better with each post. Looking swell! Good luck pushing through with the rest of the project. You are on a roll with these Space orks mate. Good work and your patience and dedication is commendable. I would have floated off with the grey plastic fairies by now. Ha ha :) Keep up the great work. Great stuff mate and very much looking forward to seeing the rest in due course. I’m so in love with each bit of this! Fantastic yet again! Yellow is my favourite colour on orks. Did you make all the backpacks and their gear? I like the ramshackle eclectic nature of them all. Where did you get the pistols on the skumbos from? They’re funky! Sculpted pistols? Very cool! John Pickford (who’s sculpted the last two BOYL figures) uses a mix of greenstuff and brownstuff for his sculpts, varying the proportion depending on what he’s sculpting – more green for organic, more brown for harder edges. I haven’t given it a go, but it looks like a promising technique. Great man!! They’re so full of character. All the best getting through the rest. Very nice! Your output is still amazing, considering the quality and conversion work. 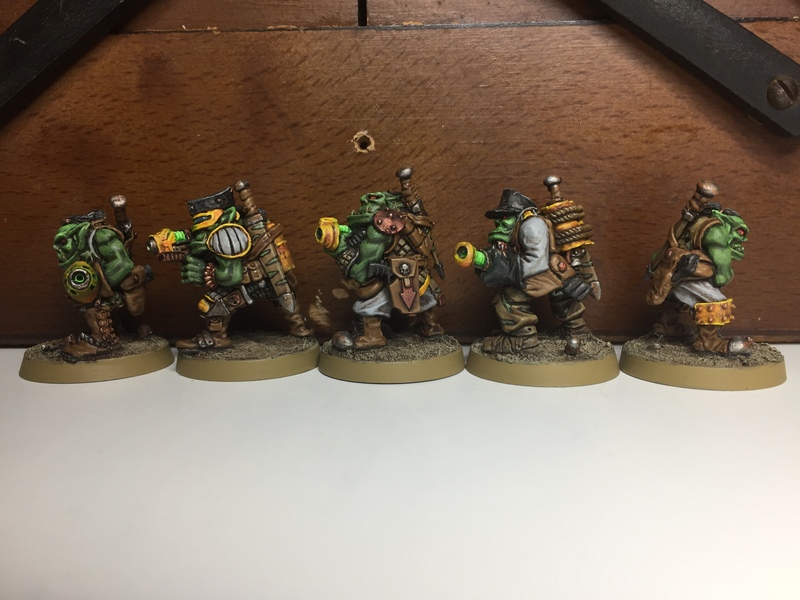 Looking forward to the Skumbos, I always had a soft spot for medieval style Space Orks. I will probably limit myself to throwing in a unit of Fantasy Orcs in with the Space Orks though. Cheers matey – it’ll slow down a bit from here on in, but it should be the most interesting part from a conversion perspective. 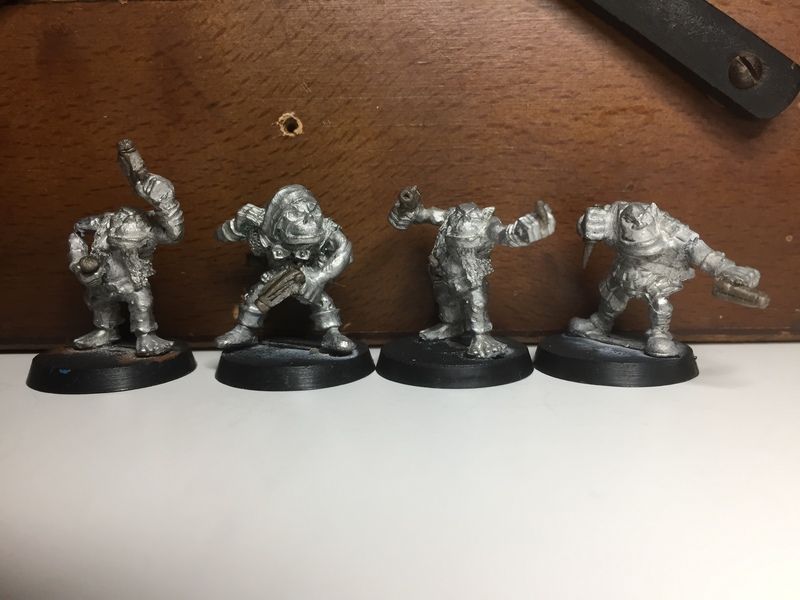 The fantasy/medieval Space Orks should be great fun! 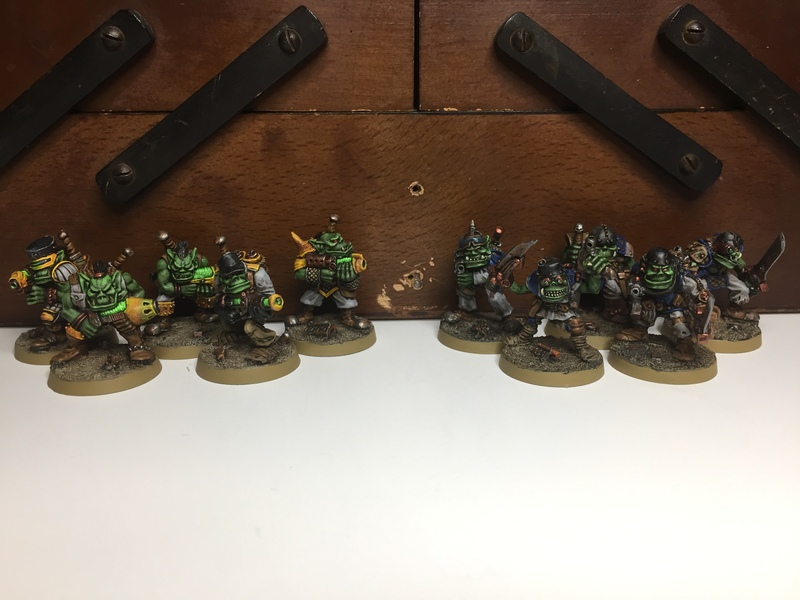 Very nice group of Space Orks – love the yellow Alex, always a tough color but rewarding. Good luck with the rest of the project! Dese boyz look ded ‘ard. Even if ‘alf of dem is wearin’ yella. 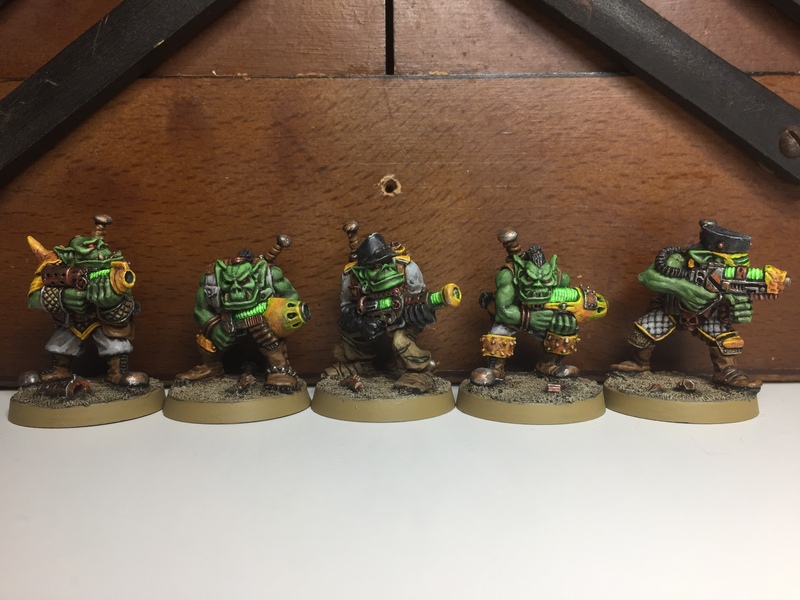 You iz makin’ me wanna break out some of dem boyz of me own and get da gitz painted!